Claims that this headset is made for the PC are unfounded. Way back when I reviewed the Polk 4 Shot, I said that I wanted a headset with the 4 Shot’s internals but with the PC in mind. The 4 Shot was a great pair of mid-tier headphones, but it wasn’t an ideal gaming headset. A bevy of microphone issues and an Xbox-first design made it a wash on the PC. Enter the Polk Striker Pro P1, which is currently available on Amazon. It’s supposed to be a PC-friendly 4 Shot. It’s not quite that, though. Polk doesn’t hide the Striker Pro P1’s similarities to the 4 Shot. While the baseline Striker P1 features rounded ears and a thick headband, the Striker Pro P1 uses the 4 Shot’s squared-off earcups and a leather-covered strip of metal for the band. The hinges are a bit bulkier but are seemingly solid metal and extremely durable, especially compared to most competitors also priced at $100. Here’s the old Polk 4 Shot. The similarities to the Striker Pro P1 are obvious. The 4 Shot’s design was gorgeous—I said at the time that the “4 Shot looks more like street wear than your typical gaming headset”—and time hasn’t hurt it any. Minimal branding, quality stitching, and small enough that you won’t look like you accidentally time-traveled from the 1980s. The red highlighting is a bit stereotypical, but the understated blue-black used on the leather and metal makes up for it. Just a very classy-looking headset. But given the similarities, it’s no surprise the Striker Pro P1 also features the same flaws as the 4 Shot. Which is to say the earcups are really small. Yes, I just said that the small size was a positive. It is, insofar as you can wear it outside without someone pointing and laughing. 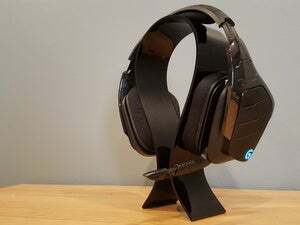 This is a gaming headset though, and after a few hours of use I inevitably felt the creeping death that is sore ear cartilage, as they don’t quite fit without touching at least one side. The small earcups have repercussions during gaming, too. Because the Striker Pro P1 doesn’t have much space between the drivers and your ears, you won’t get a lot of sound directionality. 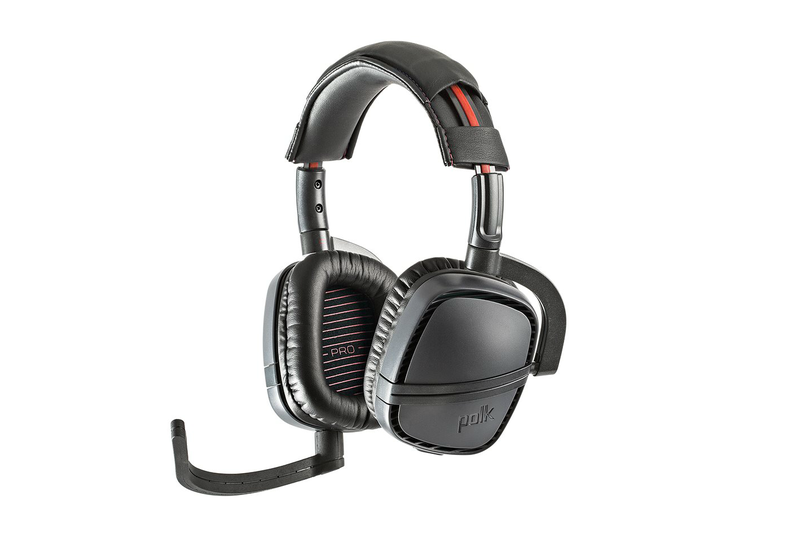 Headsets like the HyperX Cloud create a space that mimics surround sound—even when they’re just stereo headsets. The Striker Pro P1 sounds flatter by comparison. All sound is equidistant, and you don’t get much of a clue whether the sound is coming from the front, back, above, or below. This is truly just a simple two-speaker stereo experience. That’s not an issue if you’re playing games where audio doesn’t play a crucial role in tactics. You know, Civilization or Enter the Gungeon or Pillars of Eternity or what have you. Those who play a lot of Battlefield or Red Orchestra—shooters in general, really—will find it more detrimental. Aside from that, the Striker Pro P1 sounds great. Again, Polk’s pedigree in non-gaming audio serves them well here. I typically assume you want to use one device for all your headphone and headset needs, and the Striker Pro P1 has a warm low-end boost that strikes a decent balance between “good for games” and “good for music”—which is what I tend to look for. It’s an all-around upgrade from the 4 Shot, at least as far as PCs go. Buuuut...there is more work to be done. 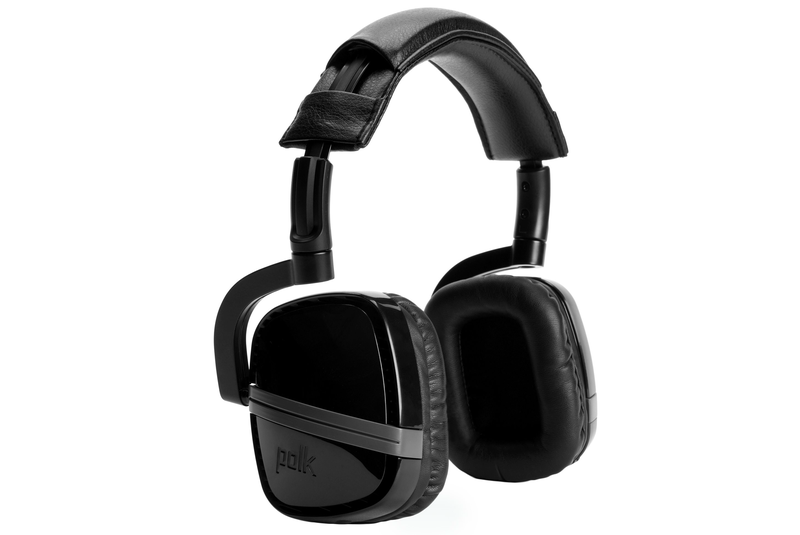 Polk makes a great pair of headphones and a subpar everything else. I assume that’s due to the company’s roots in the consumer audio world, and a lack of understanding about what people are looking for in a gaming headset. It’s a shame, because we could really use some headsets with quality audio and a more minimalist design—aka Polk’s strengths. The Striker Pro P1 has major issues, though. For instance, its three cables (one for mobile, one for PC, and one for the PlayStation). All of them are coated in cheap rubber, which belies the quality of the headset itself. The cabling is thin and dainty, like I’d expect on a $20 pair of earbuds. Or street-wear headphones. At a desk, I’d much prefer a slightly thicker cable or, even better, a fabric sheath like we got on the 4 Shot’s Pro mic. Worse still, Polk neglected in-line controls again. With the designed-for-Xbox 4 Shot, it was an annoyance, but one I understood. The 4 Shot was built to take advantage of the Xbox One’s previously requisite chat accessory. But the Striker Pro P1? It’s ostensibly for use with the PC, but has no useful volume controls on the headset or cable. There is a second cable with an in-line control box, but it’s intended for the PS4. You could maybe use it with a laptop, where the microphone port is always in reach, but not if you’re plugging the headset into the back of your desktop, like I am. The little red Mute button on the bottom of the mic is your only in-line control. There’s a built-in Mute button on the mic, which is at least an improvement of sorts over the 4 Shot’s ridiculous lack of mute. Still, the lack of easily accessible volume controls was a constant annoyance while gaming. Back to the microphone for a bit: The Striker Pro P1 rectifies the horrible crosstalk issues that plagued the 4 Shot and its trifecta of shoddy mics. Rather than emulating the built-in design of the 4 Shot, the mic is now a semi-flexible and removable boom, like the 4 Shot’s last-ditch Pro mic. Note I said semi-flexible. As with many headsets, I found mic placement an issue with the Striker Pro P1. It just doesn’t want to stay where I bend it. And predictably, this leads to volume issues and a lot of background noise. The microphone itself isn’t bad—a bit bass-heavy maybe—and if you can tame it into shape, it sounds fine. But expect it to fight you every single step of the way. 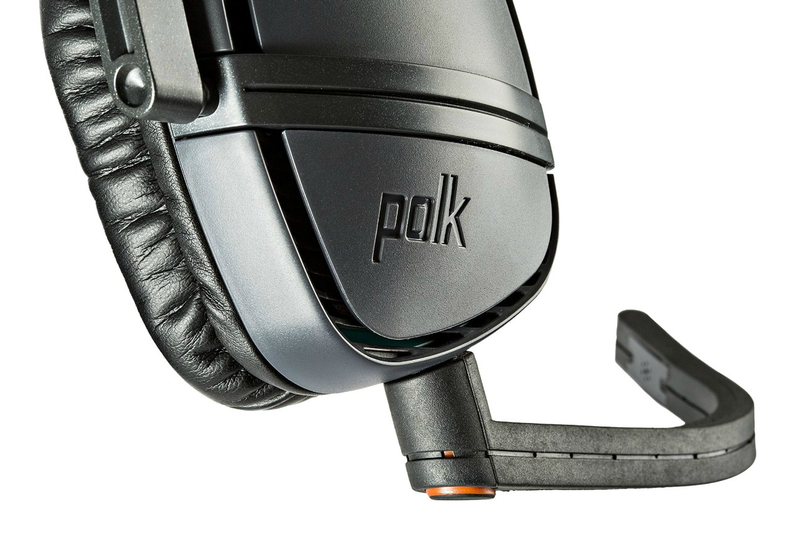 Once again, Polk has produced a great pair of headphones and a decent-at-best headset. I’m not disputing Polk’s audio expertise—quite the contrary. I cannot stress enough how incredible Polk’s headsets sound compared to most gaming headsets. Like the 4 Shot, the Striker Pro P1 is a headset I’ve found myself using for mere music listening on the way to the store, sitting on the train, whatever. This is easily one of the best general-use gaming headsets I’ve tested, and incredibly portable. But Polk needs a PC headset. A real one, meaning in-line (or on-headset) controls and a better microphone. Maybe some fancier cables as well. If I just want excellent sound, I can buy a dedicated pair of headphones. 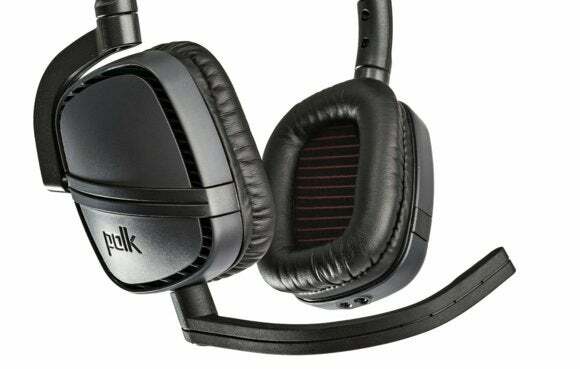 Gaming headsets need to compete on features, too, and the Polk Striker Pro P1 doesn’t match similarly priced (or even lower-priced) competitors. I find myself once again in the same position I was in after the 4 Shot: anxiously awaiting the next model from Polk. Maybe next time.